Tallulah Winquist, a scientific aid with California Fish & Wildlife, presened information on the current state of the abalone fishery, kelp and urchins. 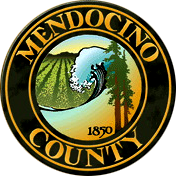 Chris Brennan from USDA, our federal hunter and trapper for Mendocino County asked for assistance in drafting recommendations for an ordinance that addresses feeding these feral cat populations that are wreaking havoc upon the environment. Joshua Russo of the Sonoma County Abalone Network (SCAN) and Recreational Abalone Advisory Committee (RAAC) nominee presentied information on the Abalone Fisheries Management Plan (FMP) and a synopsis of what occurred at the Abalone Fishery Management Plan Discussion – Developing an Indicator-Based Control Rule Framework at UC Santa Cruz on May 2, 2016. Newly appointed commissioner Patty Madigan was seated. Thanks for making the Fish and Game meeting video available to the public. Is there a way to re-post the video that includes missing segments? There are a number of sections where short breaks occur that make comments or questions difficult to follow.